Our project started with a meeting between the kenyan leaders and the german leaders, they exchanged their experiences and sucesses they've made in school. 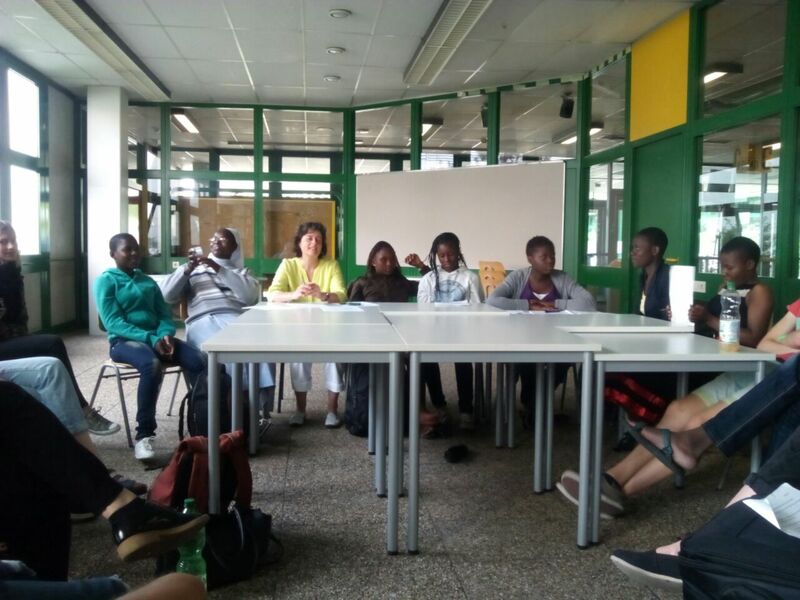 In Germany we call our Student Council "SMV" (Schüler mit Verantwortung = Students with responsibility ) in which all students are represented by some students, but in Kenya the system is a little bit different. They also have a student council consists of captains and a student leader called "president". Most of people don't know the differences between our system and theirs, but there are a lot. 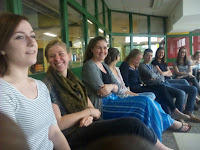 For example, in Germany the leaders are mediators between the teachers and the students, they are just allowed to mediate the opinions and problems, but they are also allowed to plan projects at school. In Kenya the presidents are not only there to represent the students, they really act like a "president", so they are allowed to punish other students. For example if a student is late for a lesson they can tell them to clean the corridor and the students are really doing it! In Germany nobody would do that! German students just accept the punishment if they see a connection between the mistake and the punishment.